Finally available in DVD format, Seymour Fink's renowned Mastering Piano Technique sets pianists of every skill level free to express their most musical ideas with a holistic approach to the keyboard based on a sound understanding of the relationship between physical function and movement and musical purpose. 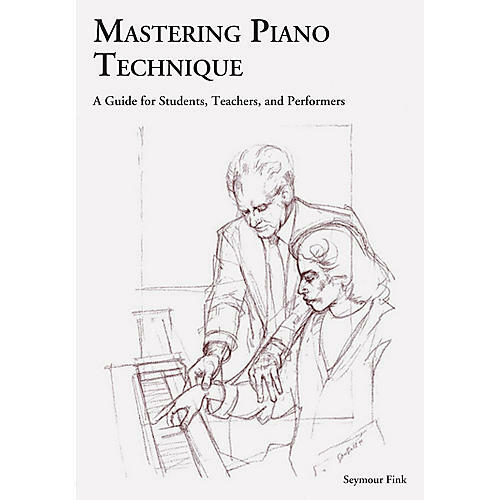 In this invaluable resource for pianists and teachers, Professor Fink explains his groundbreaking ideas and demonstrates his innovative developmental exercises. 86 minutes. Professor Seymour Fink, retired senior piano professor in the Department of Music, University of New York at Binghamton, has made a lifetime study of piano technique and its pedagogy. An active solo and chamber pianist, Professor Fink gives numerous master classes and lecture demonstrations on piano teaching and technical development. He brings to this study a wealth of European and American educational experience, worldwide travel and observation of the pianistic scene, and more than 35 years of piano teaching experience.